Welcome Citizen, to Orwell Stronghold! Here, you will experience a shining bastion of science and truth, for this is one of the Waystations of Benevolent Dynamics! Ever committed to researching the knowledge and technology that will bring back humanity from the brink of extinction and propel us further into the future, Benevolent Dynamics runs a number of such facilities across the galaxy. 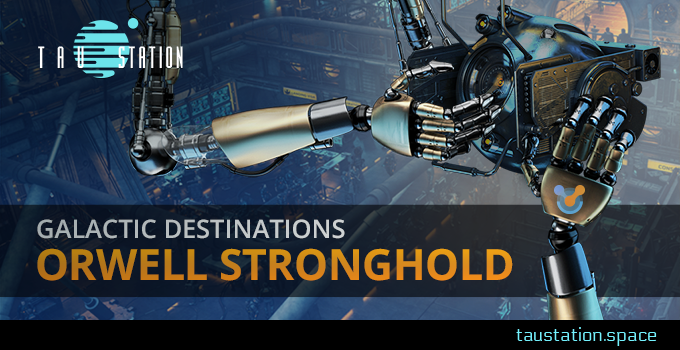 ➔Continue reading "Galactic Destinations: Orwell Stronghold"
What do mock penny loafers, shoulder-padded blouses, and a far-fetched theory about the Catastrophe all have in common? The answer, of course, is they’re all readily found on L 726-8 Jump Gate, where the bizarre ‘Roswell Division’ cult resides. Read on, dear reader, as we delve into this unusual place. 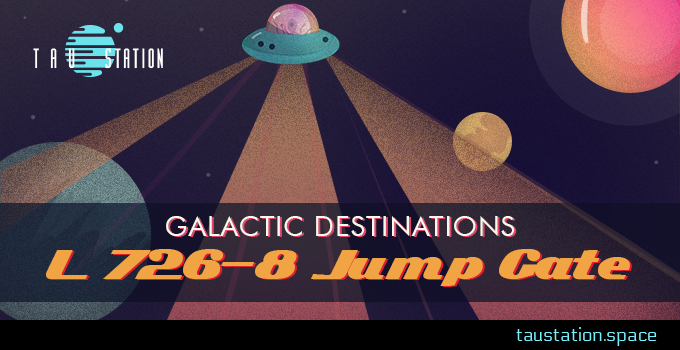 ➔Continue reading "Galactic Destinations: L 726-8 Jump Gate"
This cycle’s dispatch orbits around the Spirit of New York City, a station within YZ Ceti and part of a group of stations colloquially referred to as the Iron Quad. Back in the Before, this station enjoyed some of the more relaxed and froody vibes of the galaxy. Mellow bars, dazzling art installations, and cafes galore adorned every corner of the the station that sought to emulate the spirit of its namesake. Things have changed since the Catastrophe. Land on the Spirit of New York and join us as we saunter through its faux-cobble streets as we explore the reclusive and paranoid station that it is today. 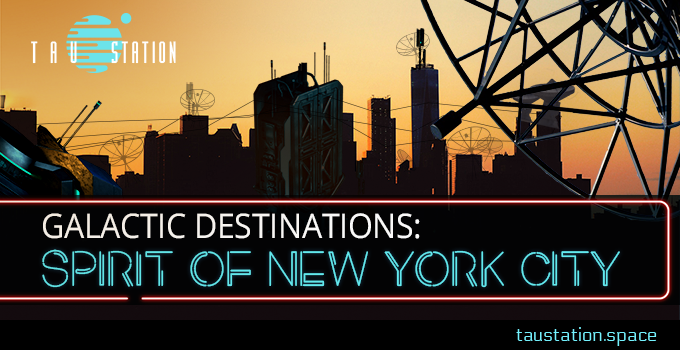 ➔Continue reading "Galactic Destinations: Spirit of New York City"
Hey there galaxy fans! Your old pal Jacqueline Valance here with the latest truths, both harsh and mellow, to shine light on the world they’re tryin’ to pull over your eyes! It’s time to wake up and smell the war brewin’ in this corner of the galaxy. Y’all ever been to YZ Ceti? Don’t! Let me tell you right now, the Iron Quad ain’t no holiday destination! What we’ve got here are three main stations plus the jump gate, all Consortium owned, all pretty vague in what they do. I mean, sure they disclose their ‘official capacity’ all proper like with all the bells and whistles, but what really goes on there? 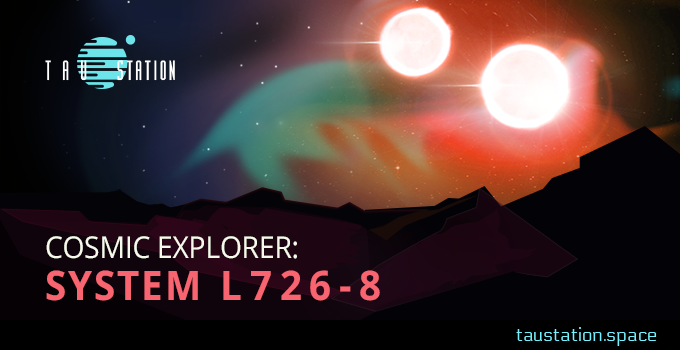 ➔Continue reading "Cosmic Explorer: The Iron Quad"
Today’s dispatch comes from the binary system of L 726-8, and one of the galaxy’s most controversial stations. Once dedicated to science, the Spirit of Tianjin is now famous for something far stranger: its unique ‘Carnival’, where nothing is forbidden to the wealthy Patrons. Debauchery is a luxury product here! 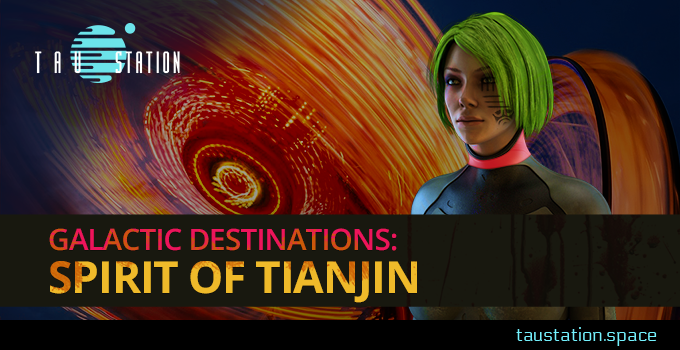 ➔Continue reading "Galactic Destinations: Spirit of Tianjin"
Today’s edition of Cosmic Explorer comes to you from L 726-8! This is a binary star system, home to two spectacular flare stars and the three stations originally built to study them. But that was long ago, pre-Catastrophe, when such research was still a Consortium priority. How things have changed since then! 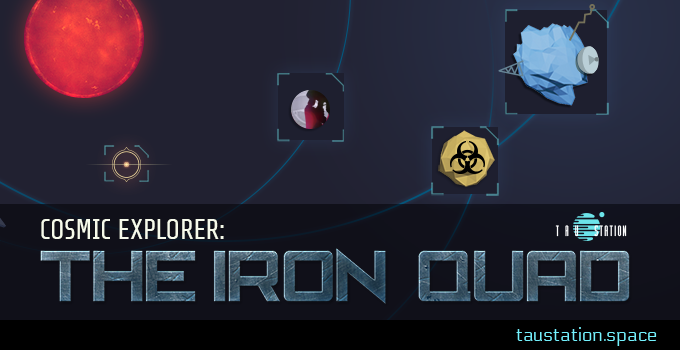 ➔Continue reading "Cosmic Explorer: System L 726-8"
Initializing Omni-Reality Virtual Interface: Server neural access: BeDyne requesting CORETECHS synchronization parameters. Parameters accepted. Thank you. Your Benevolent Dynamics Omni-Reality Journey is about to begin! Slice right to begin the guided experience. 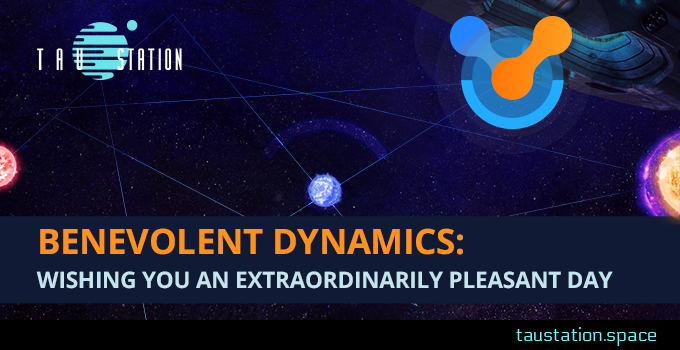 ➔Continue reading "Benevolent Dynamics: Wishing you an Extraordinarily Pleasant Day"
Bathed in the dim glare of its ancient star, this Consortium-run Jump Gate station welcomes visitors to Barnard’s Star. One of them is Chief Bakker, sent here to investigate the station’s curious Catastrophe experience. Below, we reveal a transcript of Bakker’s first dispatch to Consortium bosses, back on Tau. 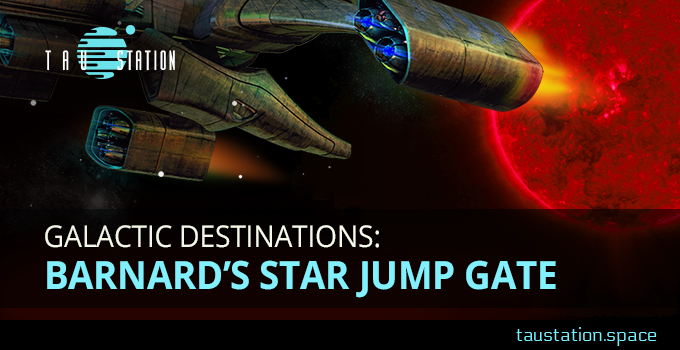 ➔Continue reading "Galactic Destinations: Barnard’s Star Jump Gate"
Nestled in the far reaches of Barnard’s Star, Estación de Amazon is a remote outpost newly aligned with the Gaule Protectorate. Gaule soldiers are being sent there on a rotating basis until a permanent Gaule presence can be established. 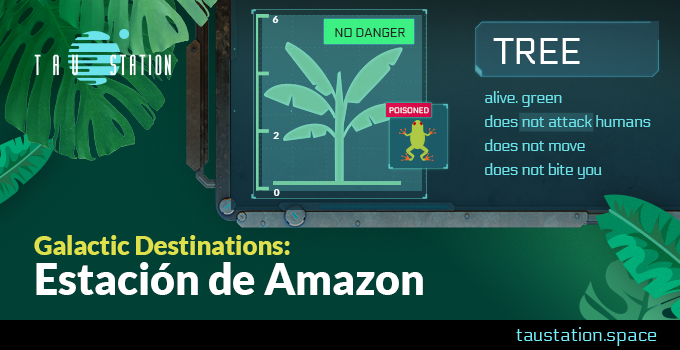 Attached is a recent correspondence from the commanding officer of Estación de Amazon to his new rotation of troops. 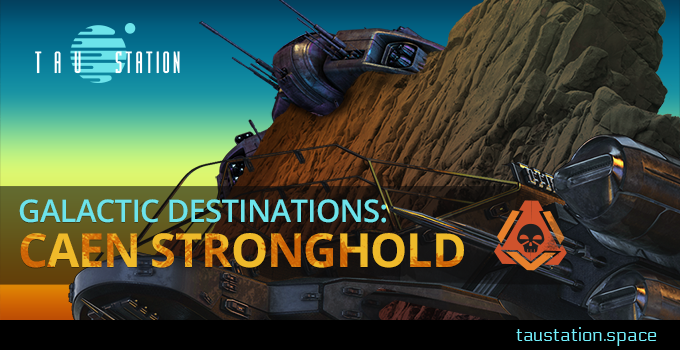 ➔Continue reading "Galactic Destinations: Estación de Amazon"
➔Continue reading "Galactic Destinations: Caen Stronghold"